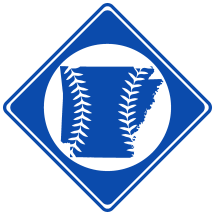 The following is a list of Major League Exhibition Games in Hot Springs, AR. 3/27/1896 Whittington Park Cleveland 22 Pittsburgh 6 Second teams. 3/26/1896 Whittington Park Pittsburgh 8 Cleveland 7 Second teams. Includes exhibition games between two teams representing major league clubs. Excludes games between intersquad teams (e.g. games between Regulars-Yannigans or Colts-Veterans), as well as games against collegiate teams, minor league teams, independent teams, semi-pro teams, all-star teams and picked nines. 1. Some score discrepancies. Maybe 20-15, 19-16, or 18-15.